The Desert Islands Nature Reserve is made up of the Deserta Grande, the Ilhéu Chão and the Bugio, and the protection status was decided in 1990, due to the urgency to protect the most rare wolffish of the world, the monk seal (Monachus monachus ). Located 30km south-east of Madeira, the reserve covers in addition to these three islands, an area of 9672 hectares including the underwater area to Ponta de São Lourenço, to a depth of 150m. The colors of the islands vary from red to orange, and brown the dominant tone. To prove their volcanic origin, there are extensive basalt mantles. They never were colonized due to the lack of drinking water and inhospitable terrain features. There was, though, some attempts to install people, as there are documents confirming that in the sixteenth century came to be cultivated cereal in Deserta Grande to feed the cattle entered here. The history of these islands is part of a battle occurred in 1564 between a group of pastors and Deserta Grande and a gang of 80 pirates, that defeated, had to withdraw. Over the centuries the island belonged to various Madeiran families, having been purchased in 1971 by the Portuguese state family Rocha Machado. The little vegetation is mainly herbaceous, even though the temporary introduction of cattle has devastated a part of the vegetation, giving way to erosion. In any case, there are two hundred recording plant species. In addition to the monk seal, other animals are worthy of note. These islands are an important center for nesting seabirds such as Cory’s shearwater, castling-of-castro, black soul and rare Fea’s Petrel, only existing on the Bugio island and Cabo Verde. Resident birds include the canary-the-ground, the run-ways, the seagull, the blanket, the kestrel and owl. Regarding the insects, the tarantula-the-desert is endemic in Deserta Grande. 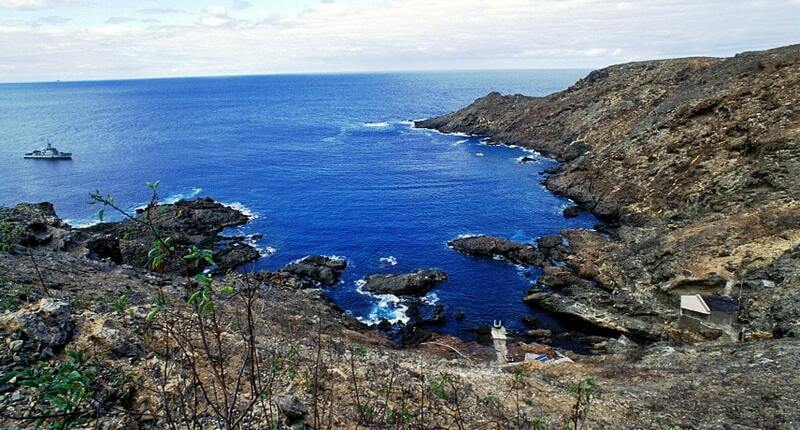 Located about 300 km south of Funchal, the Selvagens Islands are closer to the Canary islands than Madeira. They were officially discovered by Portuguese explorer Diogo Gomes in the fifteenth century. In the case of a real bird sanctuary, these islands can not be visited without authorization, existing permanent surveillance against poachers. The Big Selvagem Island is flat, although it has cliffs that rise 100 meters above the sea level. The climate is subtropical marine, with northeast winds bring warm air and even sand from the Sahara desert. The Small Selvagem Island and Ilhéu de Fora are both remnants of submarine volcanic peaks, with 27 million years, now almost entirely covered by sand lime. The lack of drinking water made abort all attempts to colonize these islands. Sign of this effort are the remains of walls still visible in the Big Selvagem Island. The introduction of goats and rabbits in the fifteenth century had devastating effects on vegetation. For centuries the Big Selvagem Island assured big income to their owners thanks to trade urzela and lichens used in dyeing and soap making. Also with economic significance were fishing and salting of fish, as well as hunting shearwaters, sold for the meat and the feathers. In 1971 the islands were bought by the Portuguese state, along with the Desert Islands, and later turned into nature reserve, one of the largest sanctuaries of seabirds in the world. A major supporter of Selvagens Islands was Alec Zino, conservationist and ornithologist born in Madeira. In his honor it was named one of the rarest birds in Europe, the Zino’s Petrel or Zino’s petrel. After accompanying a scientific expedition to the Selvagens Islands in 1963, Alec Zino was impressed with the ravages committed by poachers. So he bought the fishing and hunting rights on these islands. Until his death in 2004, Zino helped to protect and study the seabird colonies, building for this purpose, the first home of the Selvagens. The Madeira Natural Park enshrines the vital role that the Selvagens Islands Natural Reserve has for the protection of important nesting areas of rare seabirds, protection of flora with unique species and the maintenance of fish stocks in this area of the Atlantic. Seabirds include a colony of shearwaters with more than 14,000 couples and another of roques-of-castro white face, with 40,000 couples. There are still calcamar, the chick, the soul-black tern and the pinkish rare. The vegetation in the Small Selvagem Island and Ilhéu de Fora is intact, as there has never been human presence or cattle introduction. This is particularly interesting from a botanical point of view. In all, there are 11 endemic plants here. The Selvagens Islands are also linked to the legend of a lost treasure, hidden here by the famous Captain Kidd. In 1701, this Scottish pirate attacked a Spanish galleon loaded with the riches of Peru Cathedral of Lima, but had to hide in a hurry in the Selvagens Islands the product withdrawal. During the nineteenth century, at least four expeditions tried to find this treasure. In 1923, the English explorer Sir Ernest Shackleton came to Funchal saying he had information supplied by the British navy relating to the location of this treasure. Then he asked permission from the owner of the Selvagens Islands, Luís Rocha Machado to start searches when he was returning from his trip to the South Pole. As he died during this expedition, the secret, if there was any, was lost with him. Currently the only authorized visits to the Selvagens Islands are scientific and are intended to deepen the study of botany, wildlife and geology of these islands.